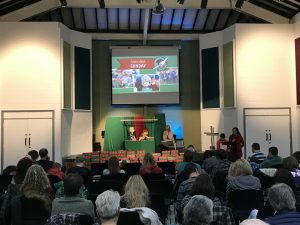 Operation Christmas Child – Thank You! 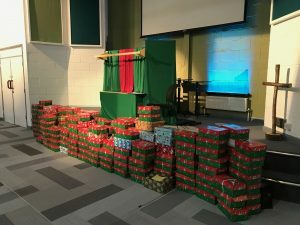 A HUGE thank you to everyone who packed a shoe box gift this year! Your generosity will help share God’s love with millions of precious children around the world. The final total of shoe boxes sent from Thornhill Church for this year is 276, which is a fantastic result and exceeded last year’s total. The boxes were picked up from the Centre on Thursday and delivered to the warehouse, ready to be sent on their way. Please continue to pray for the work of Samaritan’s Purse and for the many children who will receive the shoe boxes.